Because not all rollers were created equal. Hair rollers are perfect for helping you achieve bouncy curls and waves without having to rely on curling wands and irons. And they’re not just great for women with straight hair. It’s a common misconception that ladies who are already blessed with beautiful curls don’t need to use rollers. In fact, girls with naturally curly hair use them for exactly the same reasons: to create uniform, long-lasting ringlets and waves! So, if you’re looking to find the right rollers for your needs, you’ve come to the right place. Here’s a helpful guide on how to choose the right rollers to achieve the results you want. Flexi rods have been around for what seems like forever, but they’re still super effective for creating spiral curls without having to rely on pins or clips. Distinguishable by their long, flexible, cushioned rods, they’ll allow you to achieve high-impact, bouncy ringlets that are super cute and bang on trend. They should be used on wet, detangled locks, especially if you’re looking to achieve tight, coiled curls. Simply start by dividing your hair into small sections (about 1-inch thick), then wrap each one around a flexi rod before rolling it up towards your scalp, before fixing it in place. Versatile and perfect for natural hair, flexi rods are available in all shapes and sizes! Velcro hair rollers are a great solution if you struggle with coarse, wavy hair. Designed to curl your locks without causing damage, velcro rollers are not as hard to use as you may think and work especially well for girls with short hair. Just remember to unroll them as carefully as possible when you’re releasing each individual sections to avoid tangling. For a more detailed guide on how to use velcro rollers, read all about it, here! The ultimate quick fix, heated rollers are a hair stylist’s dream when it comes to creating long-lasting curls quickly with minimum frizz. Great for all hair types, hot rollers are fast and easy to use, plus, they can help you achieve results similar to that of many curling wands and irons. Simply position the rollers once they’re hot enough and remove them once they’ve cooled down (which should take about 20-30 minutes). Again, choosing the right hot rollers will depend entirely on the size of curls you are hoping to achieve. 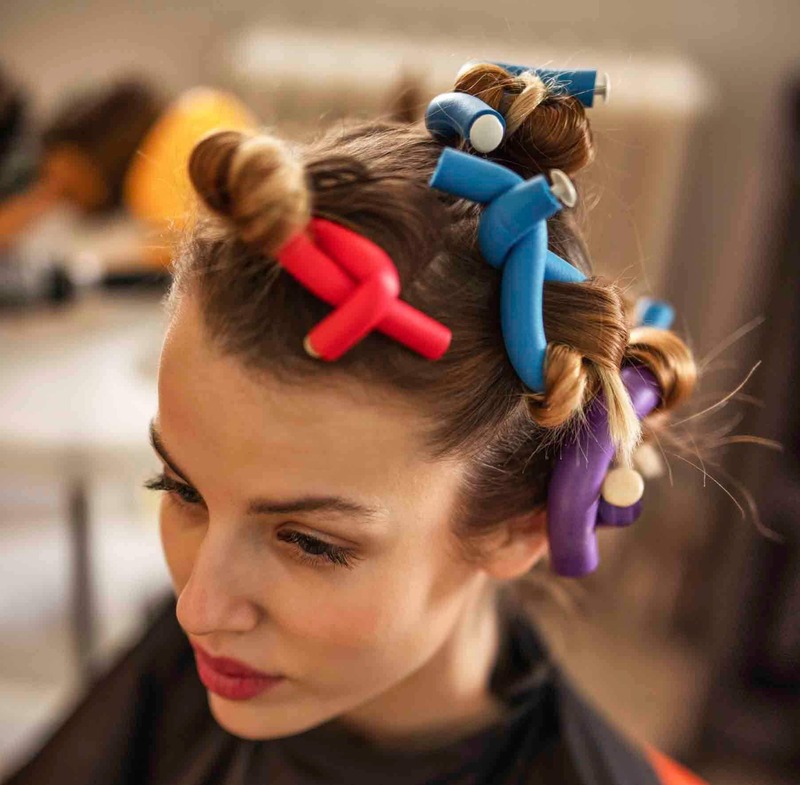 Want to know more about how to use hot hair rollers? Read our step-by-step guide, here.